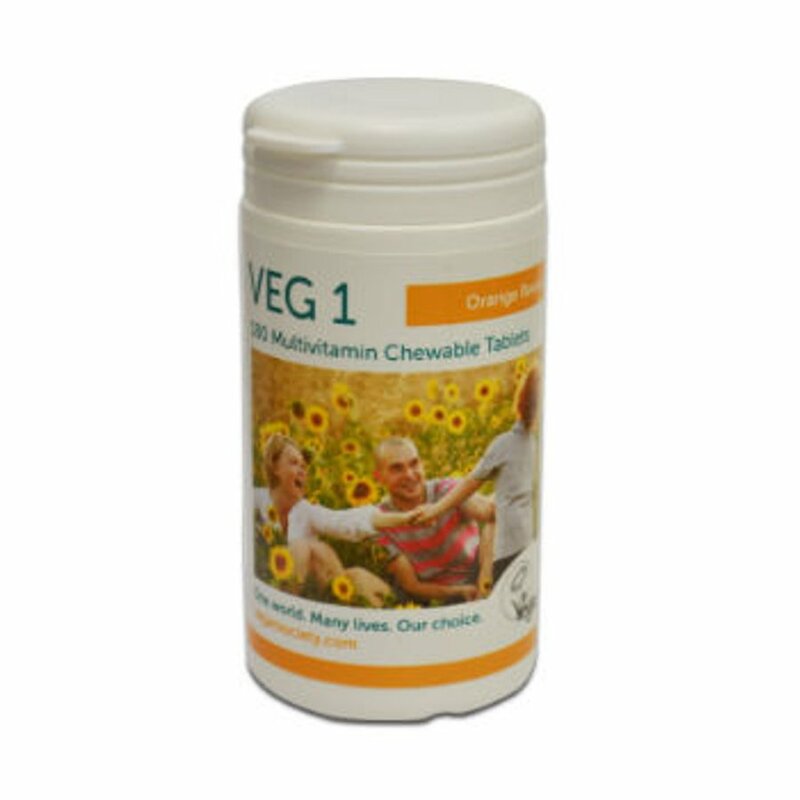 Formulated by the Vegan Society, these multivitamin chewable tablets are orange flavoured and each bottle of 180 tablets is a six month supply for adults. Vitamin B2 (1.6mg - 114%), Vitamin B6 (2mg - 143%), Vitamin B12 (25�µg - 1000%), Vitamin D3 (20µg - 400%), Folic Acid (200µg - 100%), Iodine (150µg - 100%), Selenium (60µg - 109%). Sugar, Dextrose, Acacia, Selenomethionine Prep (Selenium), Lichen Cholecalciferol Prep (D3), Natural Flavour (Orange), Stearic Acid, Pyridoxine Hydrochloride (B6), Riboflavin (B2), PVP, Folacin (Folic Acid), Potassium Iodine (Iodine), Cyanocobalamin (B12). The Veg1 Vegan Multivitamin Chewable Tabs - Orange 180 tablets product ethics are indicated below. To learn more about these product ethics and to see related products, follow the links below. S I follow a vegan diet I am aware that I need to supplement my diet, especially with vitamin B12, this product does exactly this. Being from the vegan society I can rest assured that it is vegan! 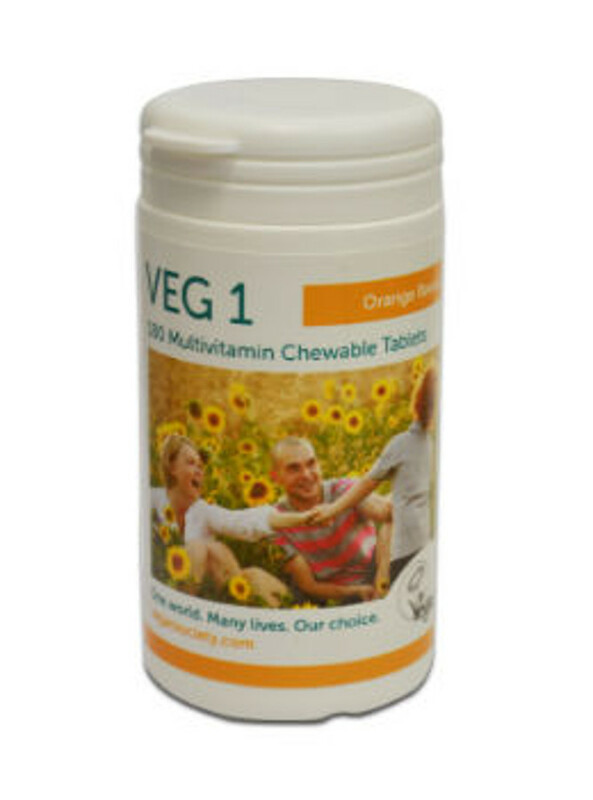 There are currently no questions to display about Veg1 Vegan Multivitamin Chewable Tabs - Orange 180 tablets.